For IT News Week 1 of Apr 2019. HUAWEI users who are eyeing the newly-launched HUAWEI P30 Series now have more reasons to do so. Don’t miss the opportunity to participate in HUAWEI’s ‘Level Up’ Programme where you can trade-in selected HUAWEI flagship smartphones for a brand-new HUAWEI P30 Series, beginning 6 April 2019, at 108 HUAWEI Experience Stores nationwide. Back up all data and remove both the SIM and SD cards on your HUAWEI flagship device. Bring this device to any HUAWEI Experience Stores where the staff will proceed to assess the physical conditions of the device. 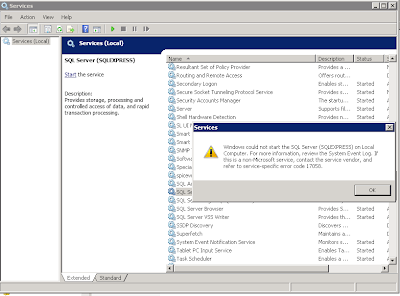 A diagnostic app will then be installed on the device to test out the functions of the device (speakers, camera, charging function, etc.). Once completed, the app will show the trade-in value of the device. TV shows are one of the most popular and universal types of entertainment, yet with the rise of torrents, online streaming, and other methods of digital distribution, they often suffer from copyright infringement. Opensignal, the independent global standard for measuring real world mobile network experience, recently released its latest ‘Malaysian Mobile Network Experience’ report. The report analyses the mobile network experience for customers of Celcom, Maxis, Digi, U Mobile, Unifi and Yes with over 1.9 billion measurements collected from more than 744,691 devices using Opensignal App in Malaysia during a 3-months period (December 2018 – February 2019). This report also looked into the regional performance of these local operators in 11 cities. Maxis and Celcom have begun to set themselves apart in the crowded field of Malaysian operators. The two divided Opensignal's awards evenly and in many metrics Celcom and Maxis far outpaced their rivals. Celcom and Maxis split our speed awards. Maxis won our Download Speed Experience category with an average connection of 17.9 Mbps, while Celcom won Upload Speed Experience with an average connection of 6.3 Mbps. When it comes to one of the key consumer mobile applications, video, Maxis and Celcom were in a dead heat, both with scores just over 61 in our 100-point scale. 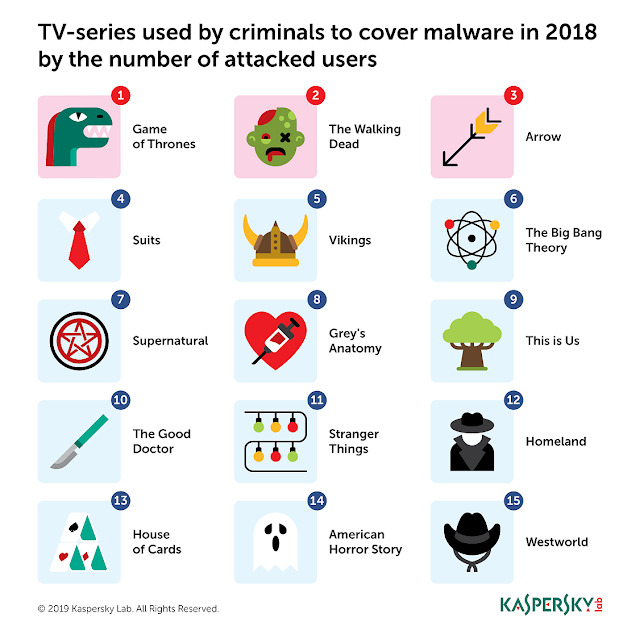 The two were the only operators to earn Good ratings in this metric. DiGi, U Mobile and Unifi all had either Fair or Poor ratings. 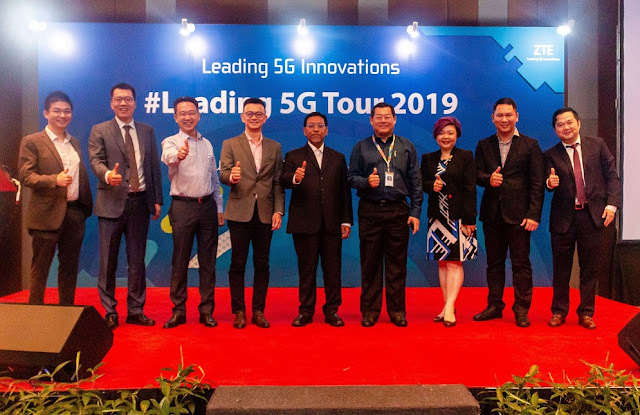 Leading global IT service provider, ZTE Malaysia, shares its key achievements and cutting edge fifth generation (5G) mobile technology innovations and solutions with more than 200 guests from the local telecommunications industry at its Leading 5G Tour event today. An exclusive annual event hosted by ZTE Malaysia since 2014, the company aims to bring the latest highlights and trends from Mobile World Congress (MWC Barcelona) to telco leaders, partners, regulators and members of government in Malaysia. Key highlights include the sharing of ZTE’s cutting edge 5G innovations to address the top challenges of network transformation to 5G commercialization and the introduction of ZTE’s state-of-the-art 5G solutions in 5G network deployment for ecosystems such as Urban, Extreme Data Venues, Data-Intensive Indoor. A number of 5G business cases are also presented. Other highlights include the successful commercialization of ZTE Malaysia’s virtualisation core with Digi, U Mobile, TM Webe and in early 2019, the signing of an MoU to accelerate 5G technology in Malaysia with U Mobile. PayNet in collaboration with banks in Malaysia launched DuitNow, which allows bank customers to transfer money instantly and securely on a 24/7 basis at banks’ Internet or Mobile banking channels. DuitNow funds transfers can be directed using the recipients’ mobile numbers, MyKad or business registration numbers. On 3 April 2019, Payments Network Malaysia Sdn Bhd (PayNet) in collaboration with Malaysia Airlines held a prize giving ceremony for the first winner of the DuitNow Launch Contest, which offers a total of RM4 million in life-changing prizes. 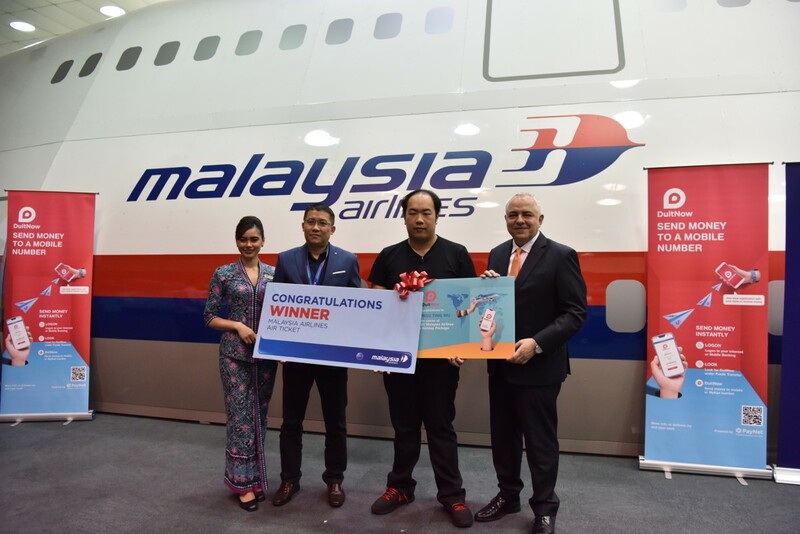 The first winner, Mr Eric Ngu Ting Wu (Pix), a customer of Public Bank Berhad, will be flying off on a RM100,000 Malaysia Airlines Dream Holiday package. Presenting the prize were Mr Peter Schiesser, Group Chief Executive Officer of Payments Network Malaysia alongside Mr Ignatius Ong, Group Chief Revenue Officer of Malaysia Airlines Berhad. Kemp Technologies, a leading provider of load balancer and application delivery controller (“ADC”) solutions and services, announced that it has partnered with Mill Point Capital, a middle-market private equity firm focused on control-oriented investments in North America. Craig Adler, an Executive Partner with Mill Point, said, “Kemp is one of the most respected names in application delivery, and is at the cutting edge of distributed computing network architecture." HWGG Capital P.L.C. and Virtual Currency Philippines Inc. (VCPI) have announced a strategic partnership to enable Filipino workforce to transfer their earnings home safely and almost instantly. The latest collaboration will further increase the functionality of HWG Cash to include international money transfer service, allowing HWGG Capital to serve customers who may not have bank accounts, such as foreign workers. 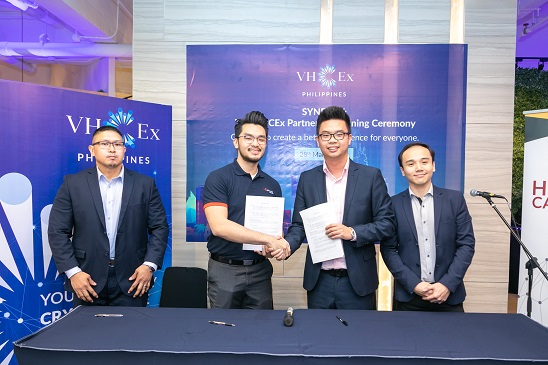 Through this new partnership, HWGG Capital is now able to tap into the facilities of VHCEX and their market presence in the Philippines - which then enable Filipino expats and workforce from around the world to transfer money home to their families almost instantly and at a much lower transaction fees. 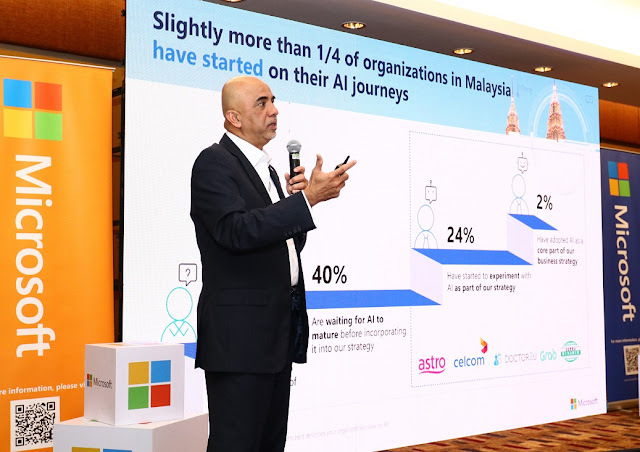 Microsoft, in partnership with IDC, today unveiled the Malaysia findings of its study on Artificial Intelligence (AI) - to analyze how Malaysia is embracing AI as well as the impact of AI on Malaysia’s businesses and economy. The study, titled “Future Ready Business: Assessing Asia Pacific’s Growth Potential Through AI” surveyed 100 business leaders and 100 workers in Malaysia and found that AI will allow the rate of innovation to almost double (x1.8) by 2021. Despite clear benefits in adopting AI, only 26% of organizations in Malaysia have embarked on their AI journeys. For the organizations that have implemented AI initiatives, the top five business drivers to adopt the technology were (in priority order): Better customer engagements and higher competitiveness (both tied as the number one driver with 31% respondents respectively); accelerated innovation and improved efficiency (12%); as well as more productive employees (8%).